When I first discovered my gift 21 years ago, I used a piquet deck playing cards ( deck of 32 cards from 7 through 10 plus the faces) as a divination tools. I could accurately read the life of my seater, tell him all about what was on his mind and what outcome can be expected. 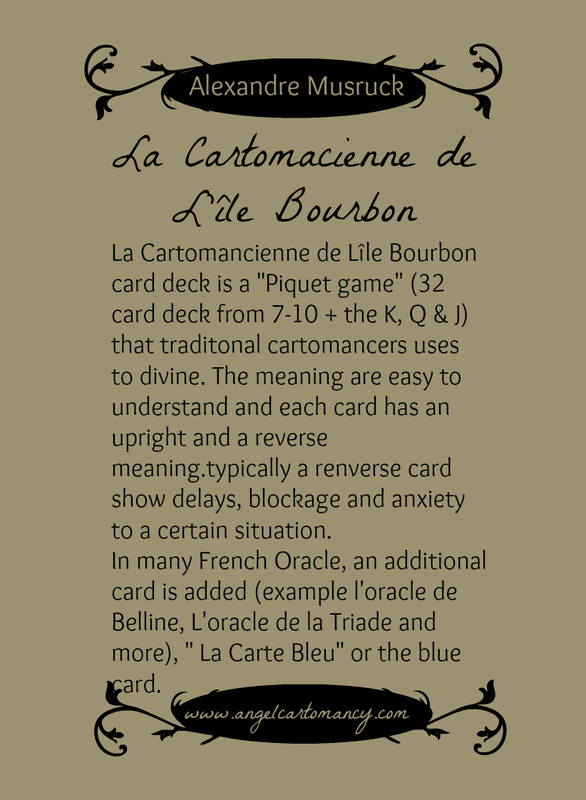 Its quiet common for french diviners to read piquet cards, the most well known were Melle Lenormand, Eteilla, Madame Gilbertte, Adele Moreau and many more. 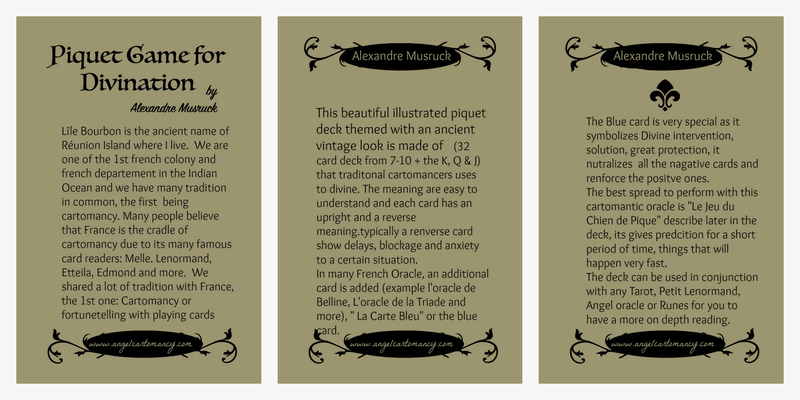 I created this deck of piquet to help people interested in the art of cartomancy, an easy and powerful tool that will help you sort things out quickly. I demystify the art and make it accessible to everyone. Standard poker-size of 2.5” x 3.5” (63.5mm x 89mm)(33pcs) / with explanation / Packaging: Box .